Shaheed Bhai Balwinder Singh Jattana Babbar was one of the Sikh Liberation Movement’s heroes, who struggled endlessly to end the looting and subjugation of Punjab. Bhai Sahib was a dedicated and determined Naujavaan – steadfast on his principles – who made the ultimate sacrifice for the liberation of the Sikh Kaum. At the young age of 25, Bhai Balwinder Singh left the peace of his own home and his education to to fight for an independent Sikh homeland. Bhai Sahib entered the battlefield fearlessly and quickly rose to prominence in the Malwa region of Punjab. Recognizing his leadership qualities and his Gursikhi Jeevan, Bhai Balwinder Singh was soon established as Babbar Khalsa’s Malwa Area Commander. Bhai Balwinder Singh and his companions, such as, Jathedar Bhagat Singh Bhagta (Ropar), Bhai Harmeet Singh Bhaowal and Bhai Charanjeet Singh ‘Channa’ were responsible for many courageous actions in their area and struck fear in the hearts of the police. One such action took place on July 23, 1990 in Chandigarh’s Sector 26 at the SYL Canal’s head office. On the morning of the 23rd, all four of the Guru’s Singhs approached the head office on scooters while the chief engineers of the SYL project held a meeting on the second floor of the building. The jatha of Babbar’s entered the office casually and made their way to the meeting place with silenced pistols. Like lightning, they struck – eliminating M.S. Sikri and Avtar Aulakh, the engineers who were collaborating with the Brahmin Sarkar to loot Punjab’s resources and livelihood. Just as casually as they had entered, the Singhs walked out of the office and left on the same scooters they had come on. The government was shaken by the audacity of the action and immediately halted the SYL project. 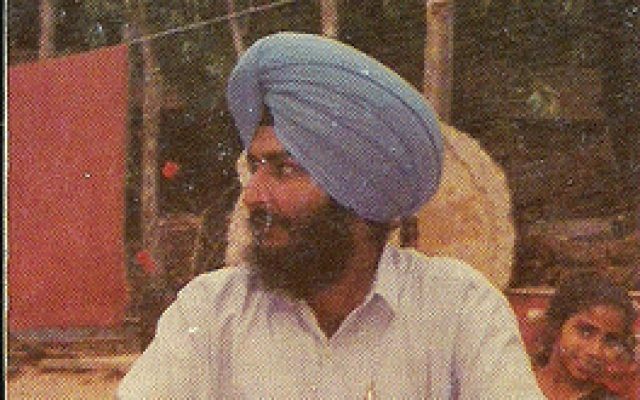 It was a few days later, on September 4, 1991, that an informer alerted the police of Bhai Sahib’s whereabouts – hoping to collect the Rs. 16 lakh reward on his head. It was the afternoon of the fourth when Bhai Balwinder Singh and Bhai Charanjeet Singh ‘Channa’ were driving towards Sadhugarh village when they saw a police checkpoint. They abruptly turned their jeep around and ran into nearby fields for an encounter with the police. Both Singh’s had very little ammunition and were soon martyred by the police.